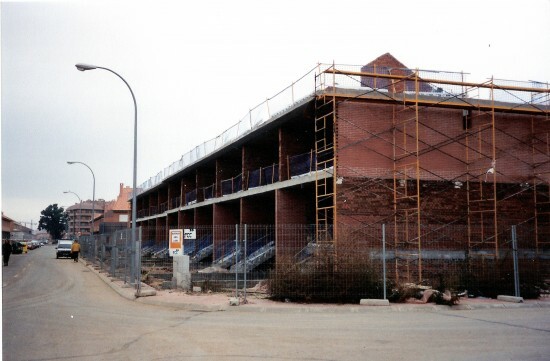 To finish out this series on Spanish construction methods I wanted to post a few more images. I like this picture because it shows how flexible this system can be. Unlike the building I showed earlier the upper floors introduce some curves. The above photo was a very common site during my time in Spain. The townhouse, or Chalet, was becoming very poplar and the construction industry was responding by building hundreds of these units. 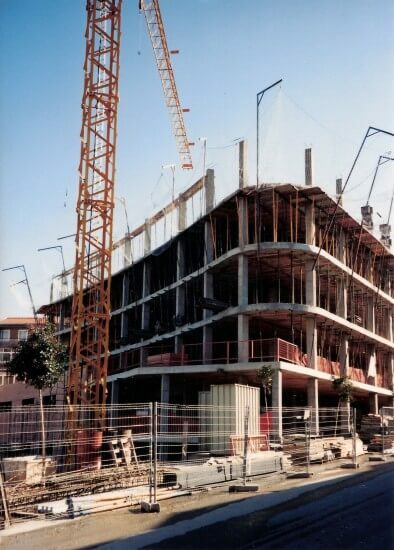 These structure use load bearing brick walls as opposed to the concrete column and beam structures of the 3+ story buildings. This last picture is a close up of the entry stair construction at another development. I think we see a couple of interesting in this picture. Firstly, the stair. 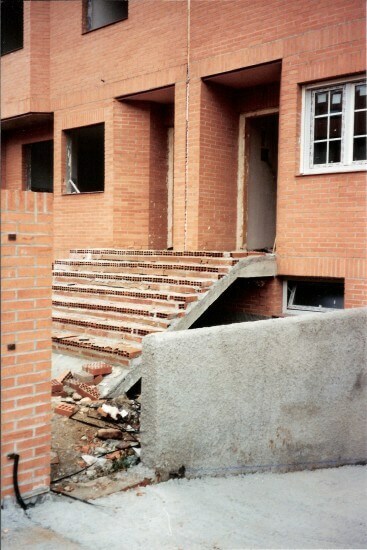 The structure for the stair is a simple concrete ramp. The concrete is poured without forming any treads. The reads and risers are created from hollow bricks and mortared together. The stairs will be finished with tiles. Secondly, we see the windows and doors in various phases of installation. Because the entire structure is concrete and masonry there is no counter flashing for the windows and doors. The exterior finishes are installed and then the windows are set in place. This is very different from the complex system of flashing and counter-flashing used in framed construction here in the United States.